Discover the Presa de la Sorrueda in Santa Lucía de Tirajana, Gran Canaria. 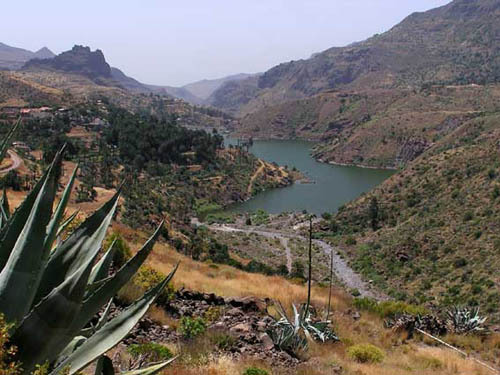 The Presa de la Sorrueda is located in the Tirajana Ravine inside Santa Lucía de Tirajana municipality in Gran Canaria. 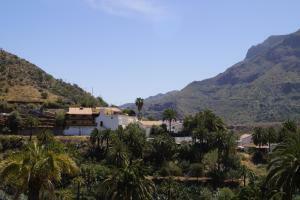 In the Presa de la Sorrueda you’ll find an important landscape and ecological environment. 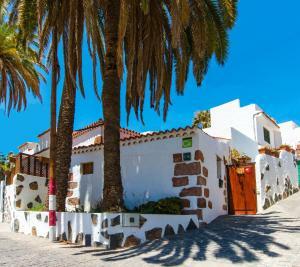 Near this dam you’ll find some of the most beautiful palms on the Gran Canaria island, and that’s why nearby this dam there’s the well-known Sorrueda Palm Forest a place with numerous samples of this species that can be perfectly observed from the La Sorrueda Viewpoint. If you’re passing by Santa Lucía de Tirajana don’t avoid visiting this place, that also has a nice camping site for almost 20 people (controlled use by local authorities). 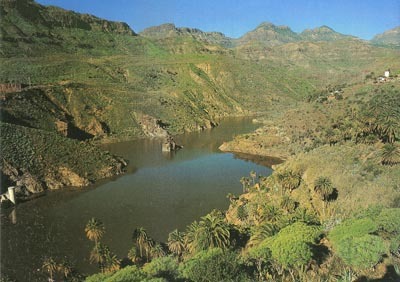 Presa de La Sorrueda, Santa Lucía de Tirajana, Gran Canaria.